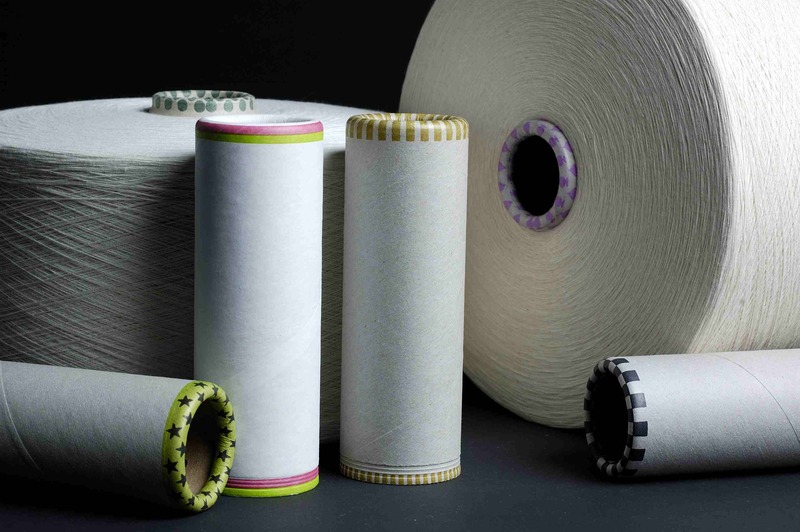 Conitex Sonoco’s paper tube yarn carriers are manufactured and guaranteed to a tolerance of ±1mm in length and ±0.25mm in inside diameter at top and bottom. Conitex Sonoco’s PLUSH® tube surface design provides high performance yarn winding start up and transfer with no picking of yarn fiber and can be fine to coarse depending on yarn type. 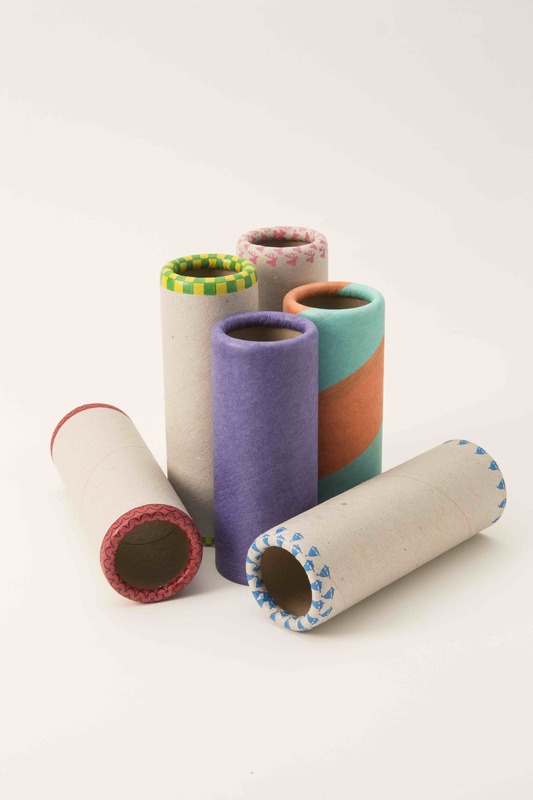 Our paper tubes are very clean with no impurities that will contaminate the yarn and is free of grease, tar, rubber or plastics that can make yarn stick to the tube. Conitex Sonoco® manufactures paper tubes with surfaces designed for the particular yarn process the customer is using. Rotor Spinning responds best to a regular PLUSH® paper finish surface that not only properly holds the yarn in place, but is also suitable for printing colors and designs. Air Jet Spinning, due to the configuration of the tube holder, requires outside lining with either kraft finish paper or greaseproof paper and start up grooves or slots. Conitex Sonoco® offers many features to assist in yarn packaging. These features are available upon customer request. Paper Yarn Carriers are available with both open nose and bull nose. Bull nose is preferred because it offers a smooth flow of the yarn off the carriers. It is also consistently and tightly rolled to fit the customer’s machine requirements. NOTCHES - V, Y, U, I and double notches are available to customer’s specifications. PRO-FIT® - The innovative Pro-Fit® Bullnose is designed to increase your paper carrier winding performance on modern high-speed winders and spinning frames that require a perfect fit. S.G.O.B.® - A feathered edge at the base of the paper yarn carrier to prevent yarn tail loss on specific rotor spinning applications. PRINTING - Inner and outer custom printing available And can include the yarn producer’s name, company logo, yarn identification and origin. YARN IDENTIFICATION - over 4,000 color and pattern design printing possibilities provides an innovative way to identify your yarn packages.